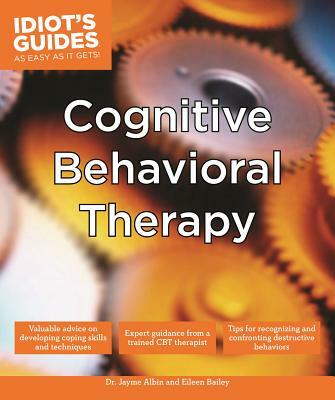 Cognitive Behavioral Therapy (CBT) is an approach that addresses dysfunctional emotions and negative behaviors through goal setting and various coping techniques, such as meditation, visualization, relaxation, mindfulness, and more. Idiot's Guides: Cognitive Behavioral Therapy helps readers learn how to recognize negative thought patterns or obsessive behaviors, and then teaches how to employ various simple, yet effective techniques to overcome those obsessive and destructive behaviors. Dr. Jayme Albin, MS, PhD, specializes in cognitive-behavior therapy, biofeedback/yoga therapy, and other researched strategies. Dr. Albin is an expert in treating anxiety (phobias and OCD), mood disorders, attention problems, and behavior-related problems. She can be found online at askthecognitivebehaviortherapist.com. Eileen Bailey is a freelance writer specializing in writing about ADHD, anxiety, learning disabilities, and other health topics, and has been writing on education, health, and parenting topics for more than 15 years. She is the author of The Complete Idiot's Guide to Adult ADHD and was was previously the guide to ADD at About.com. More recently, she has written for a number of health and education sites, including sites focusing on learning disabilities in teens and young adults. She lives in Pottstown, Pennsylvania.